A couple of months ago, I discovered one of the new found joys of aging. I became a grandfather for the first time. 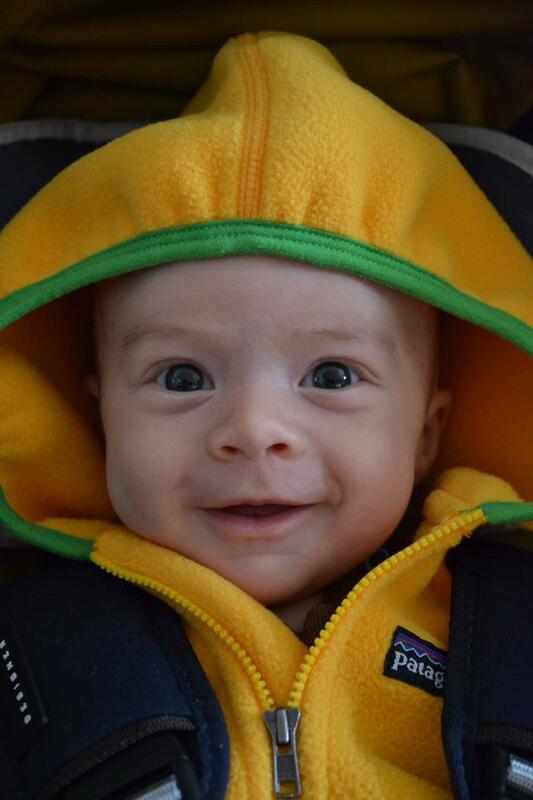 Beckett Aaron Keller entered the world at a fighting weight of 8 pounds 8 ounces and immediately asked for the training wheels to be removed from his stroller, along with an upgrade to its derailleur to a 10 speed cassette. He also asked for someone to order him a custom cue for delivery in a few years. Doesn’t that just sound like an overly exuberant grandfather? Of course! When my son and his bride called me and MB to let us know that we were going to become grandparents, they asked for something to celebrate the birth. I’ve been an amateur woodworker for about 25 years or so, and have built all kinds of furniture and heirlooms. My son grew up in a house with a bunch of stuff I’d made but none of it moved with him when he grew up. He and the soon to be mom, wanted a crib. I couldn’t have been happier to oblige. So, I did a quick Google search, found the web site, located a retailer that sold the crib here in Richmond, and went down to the store to take some measurements and look at the construction. I also found a drawing online in the Sketchup Warehouse. Sketchup is a program that allows you to draw in 3D on your computer. It has a huge worldwide following (It’s been a free google product for quite a while) and the warehouse is a place where people from all over the globe store drawings they’ve made of, well, everything. There are entire city blocks that have been rendered in Sketchup that are stored there. It’s one of the coolest programs I’ve ever used and the support is top notch because it’s all user provided. Once I had a working scale drawing, and had made some additional measurements from a display at a store downtown, I was ready to set to work. I started with selecting materials and immediately decided to use black walnut, juglans nigra, for most of the crib. I have a stash of this from a tree that I harvested a few years ago on the Northern Neck, next to the Rappahannock River. Since I’ve air dried it, instead of kiln drying, the colors are far more diverse and vivid in this lumber. It’s really beautiful. I needed a contrasting wood for the end panels. Our family is pretty green when it comes to the environment. I had been given a 125 year old church pew that had been pulled out of a nearby church. It was in rough shape but the wood in it was red oak, quercus rubra, and I thought it could probably be recycled. When I told the kids about it, they were very excited. They loved the idea of the past uniting with the future in this project. I milled up about half of the pew to make the end panels and the color difference is really nice. The last thing was the hardware. I typically use Woodcraft, a chain of woodworking stores for this sort of thing but I needed RTA (ready to assemble – also known as knockdown; like you have to use to put together something from Ikea) hardware and they don’t have much of that. Instead, I went to Rockler.com, a competitor geared more toward the professional woodworker, to order what I needed. In a few days, everything was in my shop and ready to go. The first step in a project like this is called rough milling. That’s where you take the material you’re using, and get it down to the approximate sizes you need. In this case, it was a matter of taking some large planks of walnut and putting them through a series of steps and machines. The first step was to narrow the planks down to about 6 inches wide using a band saw. Why 6 inches? That’s so they would fit on the next machine, a jointer, that’s used to make one “face” of the board perfectly flat. This becomes a reference to make the thickness of the board equal. Each pass on the jointer removes a small amount of wood until, eventually, a final pass is perfectly smooth and dead flat. 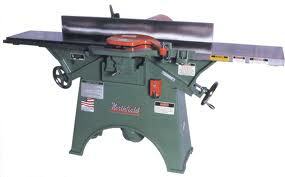 This is a jointer. The boards were then run through a thickness planer which slices off the opposing face until it’s also flat and perfectly parallel to the first face. (It really looks like a board now, but with rough edges.) This also takes a number of passes through the machine as you can’t remove too much wood, all at once. The final pass through the planer ensures the opposing faces are now, both, dead flat. 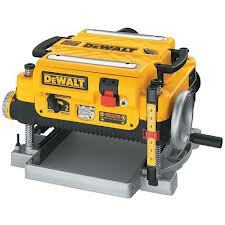 Here's a planer. Now that I’ve surfaced two sides, the next step is to make one edge perfectly straight. I take the boards back to the jointer and run them on edge across it until that edge is dead straight and at a perfect 90 degrees to the faces. (This is called jointing an edge. The first trip on the jointer was called jointing a face.) I can then put that edge against the fence of my table saw and rip cut the opposing edge parallel to it. At this point, I have boards that are square, uniform in width, thickness, and length, and they’re ready for secondary milling that will bring them closer to the finished size. I cut a bunch of the boards into ¾ inch wide strips; these boards had been thicknessed to ¾ inch so that this step formed long, thin sticks that are perfectly square. I was planning on making these into the dowels you see in the picture, that form the sides. But how does one turn a perfect square into a perfect circle? I sliced the other, thicker, boards into narrower ones, 2 inches in width. From these, I cut pieces of exact size to make the stiles and rails for the sides and ends. (Stiles are the pieces that are vertical, rails are horizontal.) When the time came to assemble, I would hold them all together with dowels and glue. I milled the oak panels for the ends by creating thin boards from the church pew wood, then gluing them edge to edge to make a wider board. Once I’d cut this to the right size, I milled a small tenon on the ends of each. This tenon, a thinner place of the panel, went into a slot on the end rails called a mortise, with about a half inch open at each end of the slot but covered by the end of the panel. This type of joint, often referred to as a breadboard end, is classic for holding a panel within a frame so that as it expands and contracts, it doesn’t cause anything to break apart. How much does wood move? That depends on a number of things including species, how the log was milled in relation to the growth rings, and the environment in which the wood lives. In the case of this crib panel, oak is a pretty active species. The wood was mostly quarter sawn (if you look at the end of the board, the growth rings run from face to face – the most stable way) and the panel is about 20 inches wide. I expect that from mid-winter to mid-summer, the panel will grow about 3/8 of an inch. (I’ve seen flat sawn boards - where the growth rings are parallel to the faces - of that width grow almost ¾ of an inch in the same time frame.) So, this wood movement can be a pretty serious thing. By trimming off the last quarter inch of just the tenon at each edge and only gluing the middle of it in the mortise, I gave the wood someplace to go in the summer time without breaking anything. It also allows the panel to shrink in the winter, without splitting, from being held too tightly by the mortise. Wood movement, solved. Sanding for fun and profit…oh, who am I kidding? As I completed the milling of each part to final size, I took time to sand it. Doing it this way, instead of assembling everything before sanding, makes it much easier to get a nice, smooth surface. It also reduces, to some degree, the drudgery of sanding. Sanding is dirty, dusty, mind numbing work and, I’m told, it takes up about 30% of the time of any project. (My middle brother, who was a professional woodworker for about 20 years, told me he realized he’d spent almost 6 years of his life just sanding. I had to talk him down, off the ledge.) Yeah, so, not a fan of sanding but it’s a necessary evil if you want to get just the right feel to the surface. By sanding in between other operations, I spared myself doing it for ten hours straight. The hard part of sanding on the crib was the spindles. I had a notion of using my lathe to do it quickly but the spindles were too narrow to spin without whipping around rather violently. (Don’t ask; it was exciting.) Instead, I sanded them one at a time on a sanding mat that held them gently enough and allowed me to roll them while sanding. I gave them all a final pass with 220 grit sand paper, hand sanding the length of each spindle. It was tedious but slow. Assembly or why don’t I have more hands? This is the first time I’ve built something that would be assembled elsewhere and by someone else. I had to learn to use several different types of mechanical fasteners which added a degree of complexity to the project. The RTA products are from Europe and the directions have been translated into English by way of going through Klingon so they’re a bit hard to follow. Add in the fact that they also refer to everything in millimeters (weren't we supposed to switch to that system at some point?) and I’m totally screwed. Once I had all the hardware in place, I began taking pictures for use in creating the assembly instructions. (I wasn’t worried about this; my son is at least as good as I am at putting things together. I don’t know if he’s an instruction reader like I am though so I thought I’d better be safe.) Then I disassembled the crib again and prepared for the final step. It’s called The Finish. Because calling it The Done would be improper. I’ve used all manner of products over the years and the manufacturers continue to improve these, making them easier to use, safer for the environment, and safer for the user. Currently, my favorite is something called General Finishes Arm-R-All, a blend of tung oil and varnish that goes on easily, builds quickly (more coats make it look richer) is reasonably durable, and is easy to repair. It’s also safe for a baby which, in the end, was my main motivator for using it. I applied 3 coats to all of the crib and 4 to the area most likely to get wear, like the tops of the rails and end panels. I spent time sanding with extremely fine sandpaper between coats on surfaces that would come into contact with little hands so that there would be no chance of injury. Finally, I gave the crib several coats of paste wax and buffed it out with a soft cloth. It turned out very well, I think. MB made the quilt that you see in the first picture. The kids are really thrilled with how it looks in the nursery. The Crib’s trip across the country from Richmond VA to Portland OR must have been a lot of fun. In order to ensure its safe travel, I built a wooden crate. Then I wrapped each part in bubble wrap, taping the wrap in place. I placed more bubble wrap between each layer of crib, placed the hardware bag and assembly instructions in the crate, and sealed it up. Here's a picture. The crate, fully loaded, weighed 105 pounds. MB helped me load it into the truck and I drove it to the UPS Store to ship it. UPS charged $190, including insurance, to ship it by UPS Ground across the country; this took a week for the trip. I didn’t think that was a bad price, all things considered. So, I shipped it and then watched the UPS Tracking site to see how it was going. On the appointed day, it showed as being delivered and I was ecstatic, expecting to receive a phone call at any moment from my son to tell me how wonderful it was. Unfortunately, the call we had was not what either of us were expecting. As he began cutting through the tape, however, the crate began disintegrating / falling apart. He stopped and laid it down so nothing would be injured. From there, he began to unload the parts. At that point, the UPS workers did their best to reassemble the crate and place the parts back inside it, pretending they hadn't done anything. (Hey, who dropped this crate? Nobody!) They utilized some of the bubble wrap I had used to pack it but in discarding the rest they also disposed of the bag of hardware (About $100 worth). After getting everything back in the crate, they used a great deal of packing tape to wrap it all up and hold it together. My son was beside himself as his first child was due any minute, his wife was very pregnant, and now he needed hardware to assemble the crib. That’s the call I received. I told him to shoot as many pictures as he could to document the damage to the crate and any damage to the crib, especially. He told me there were some scratches in parts, and a few gouges but that he felt it was still serviceable. I immediately went to Rockler’s website and reordered the parts with an overnight shipping option and he had them the next day which enabled him to build the crib with time to spare. I also went back to the UPS store where the shipment originated, reported what had occurred and filed an incident report to collect on the insurance value. It was then I realized, how upset I was. 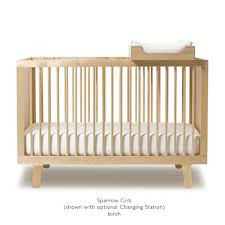 I’d put a ton of work into building this crib; along with sweat and blood. (I frequently say, if I don’t bleed in the shop, I’m not trying hard enough.) Some hourly buffoon’s lack of attention, had ruined all my work. Okay, they hadn’t ruined it but it was no longer perfect. I was really pissed and I desperately wanted to make UPS pay. The process for collecting on the insurance took some time; about 30 days, in all. Someone had to inspect the crate, then they needed pictures of the crate and the damage to the crib, then they needed to see how I’d come up with the value of the crib ($1200) and decide, was it really worth that much. Finally, they offered to reimburse me for the full value if they took possession of the crib (not gonna happen, dude) or 75% if my kids kept it. We settled on the latter. About half way through the insurance process, I stopped being angry about the whole thing. I came to realize that there was no malice involved, it was simply human error – an accident. While the poor crib had sustained some damage (when I got to see it in person, I was mollified to see that it wasn’t all that huge – more like “character marks”) it was still usable and safe. In most pictures, you can’t even see the damage. The cross country journey, the crate dropping, the mad scramble to get new hardware will become part of family lore. I can live with that. My grandson is sleeping in his new crib and, before too long, he’ll be standing up in it, making noises, calling for his mom and dad, crying, laughing, jumping up and down. I think it’s really cool that he’ll get to do it in something I made. And, he’ll get to give it to his son, too. Yeah, my shirt buttons are straining.